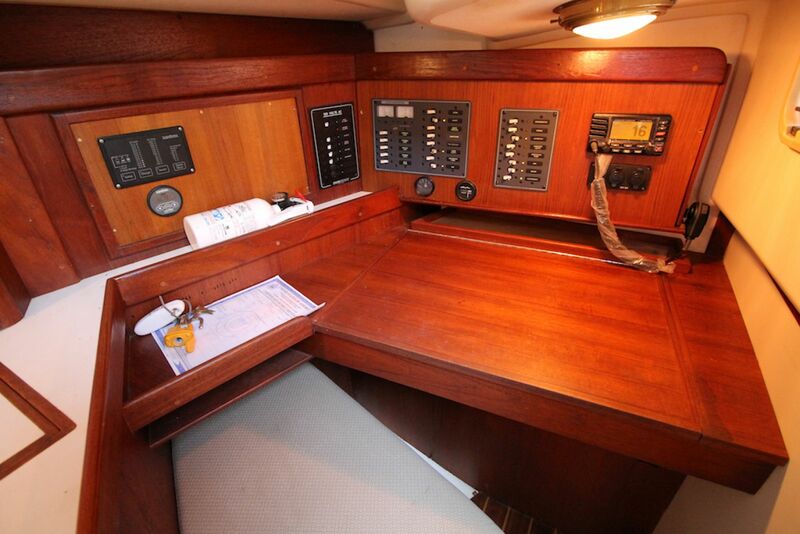 "Latis" is a lovingly maintained Tartan 3500. 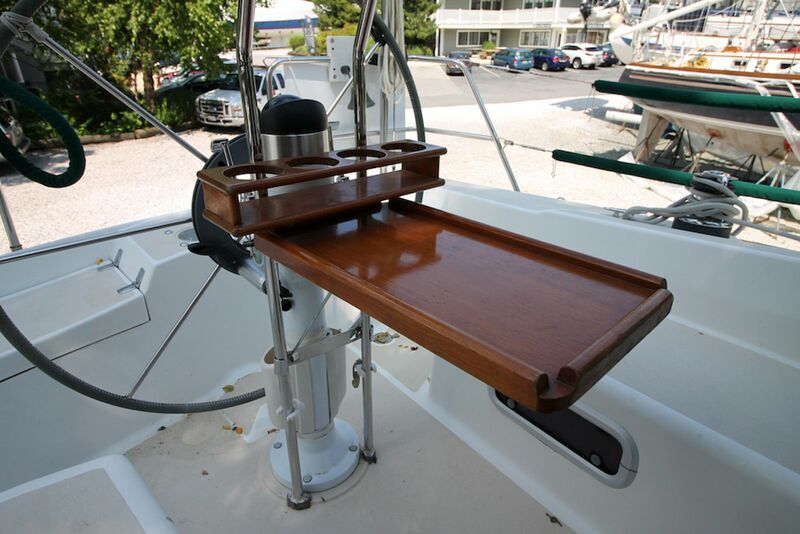 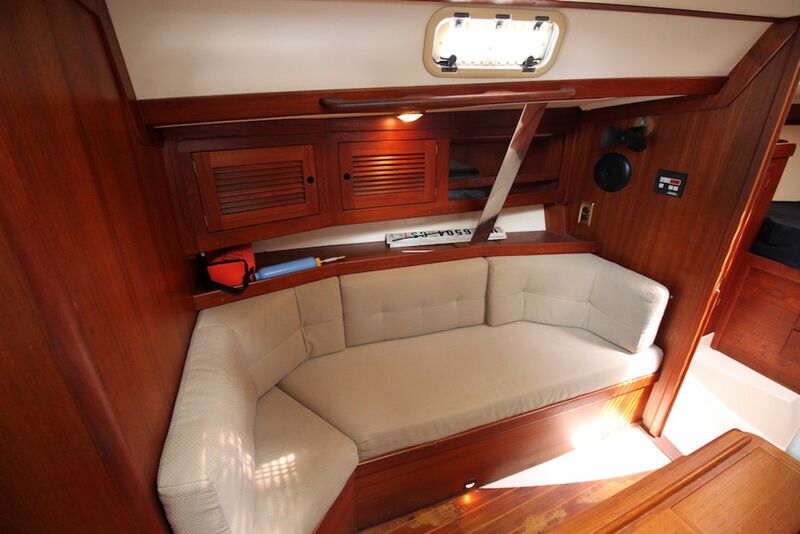 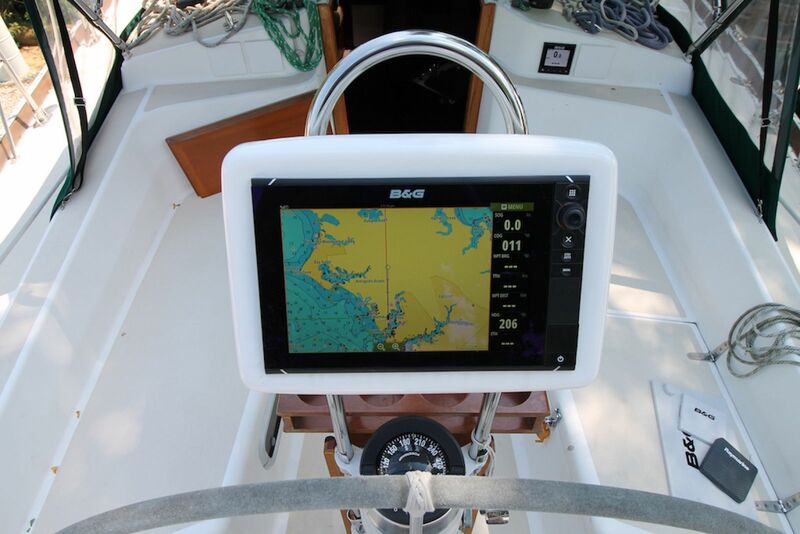 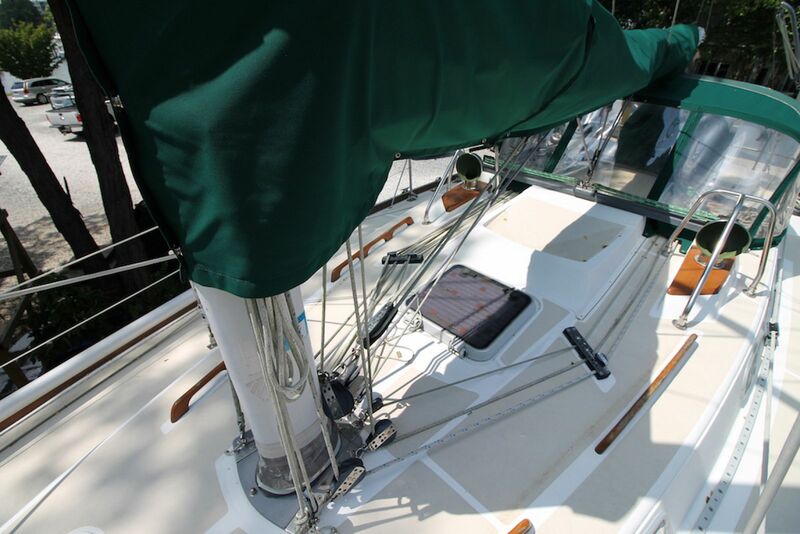 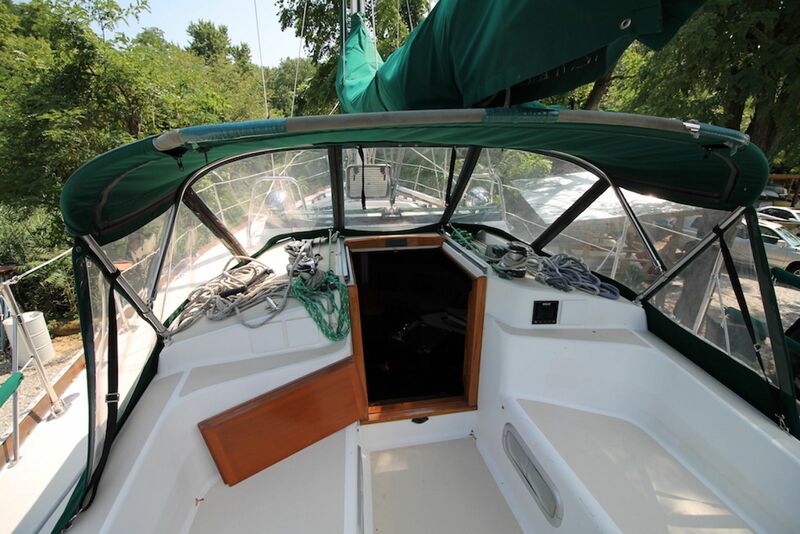 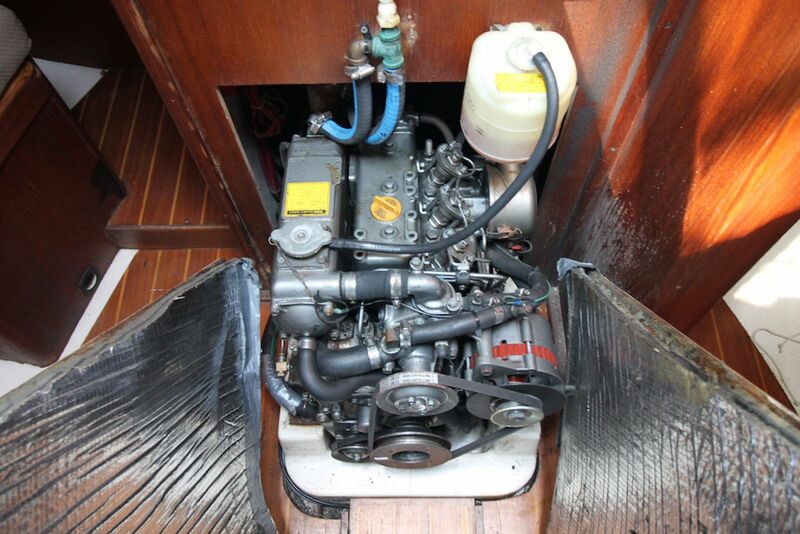 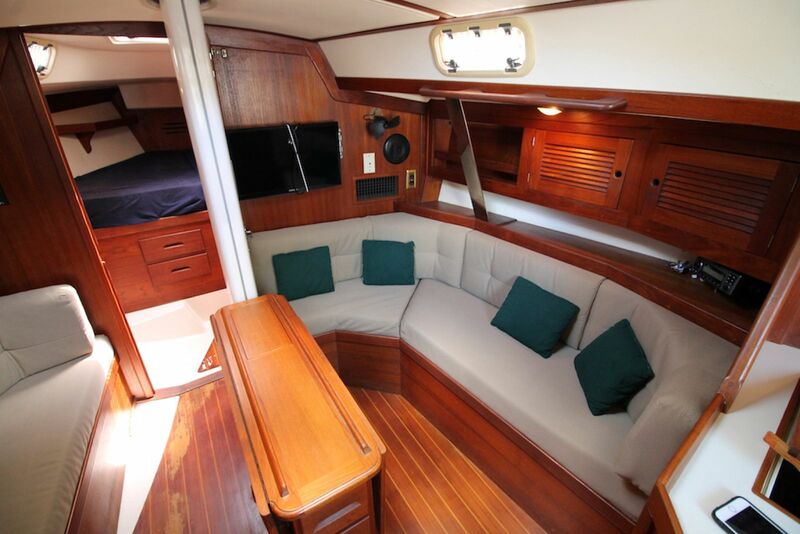 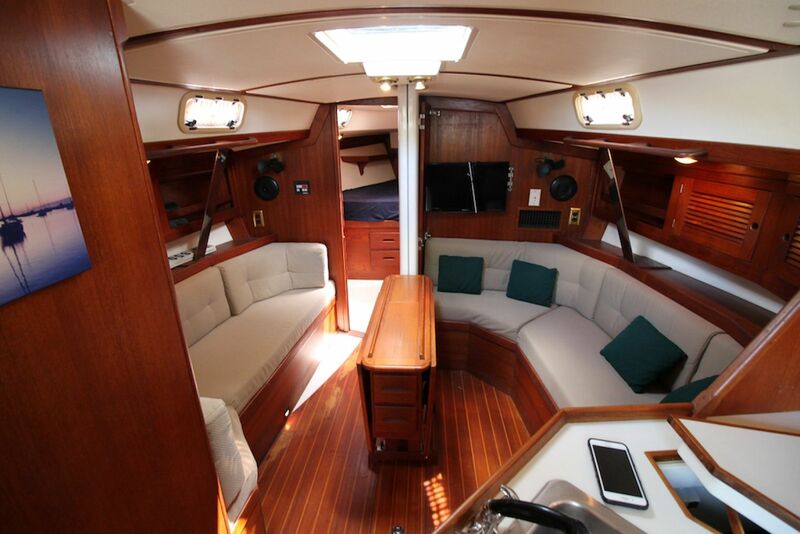 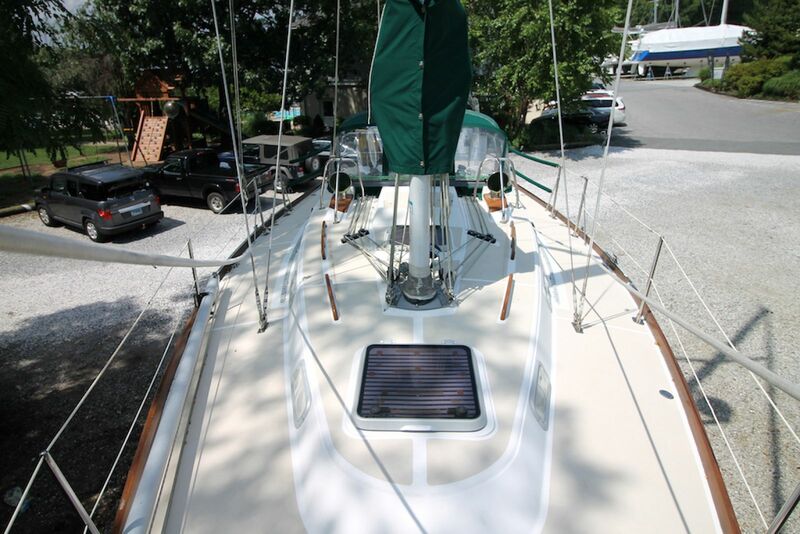 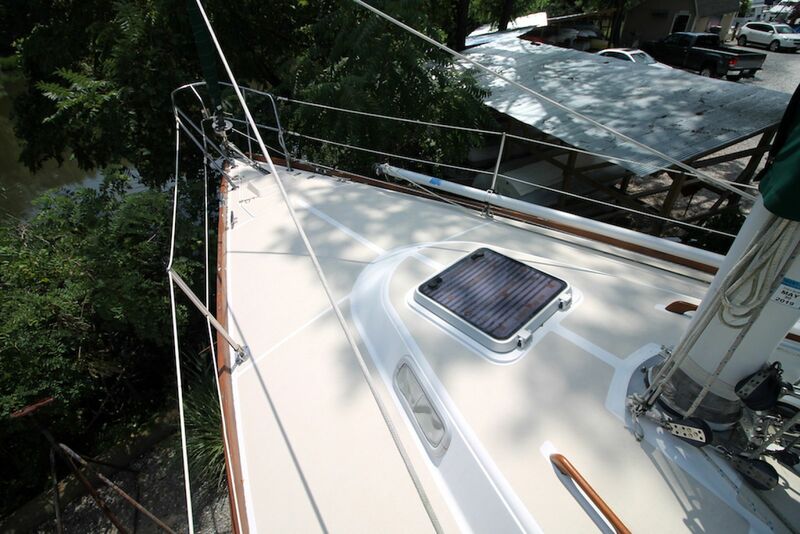 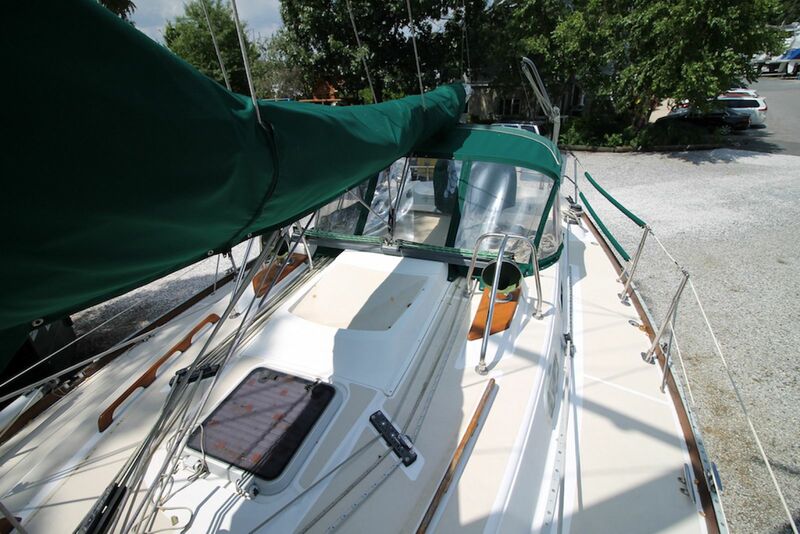 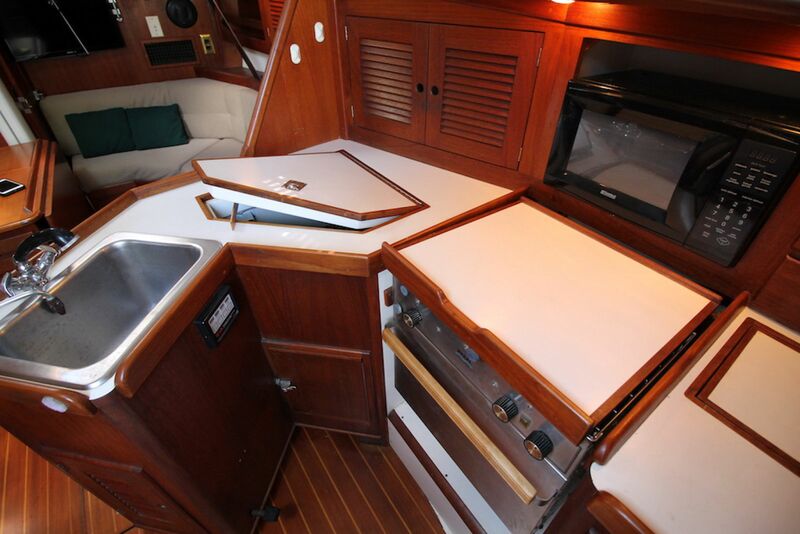 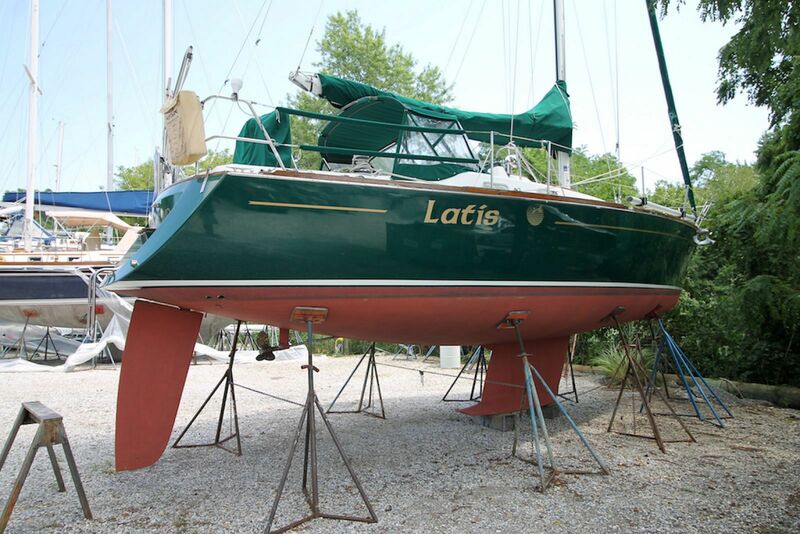 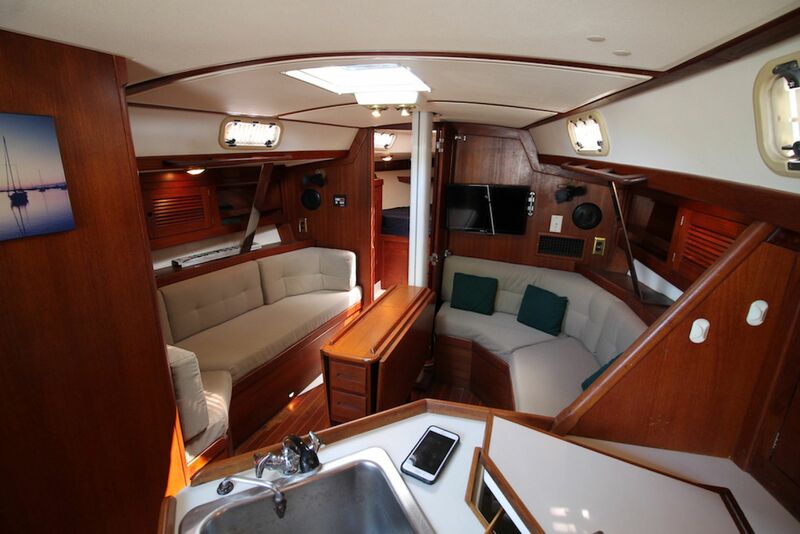 In the past few years extensive upgrades have been undertaken and she is in excellent condition awaiting her next owner. 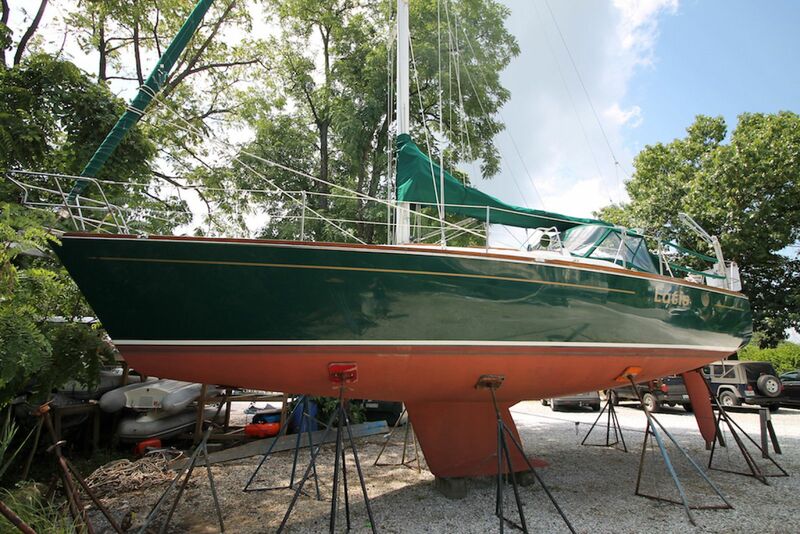 Her Awlgrip hull gleams and she stands out from the crowd. 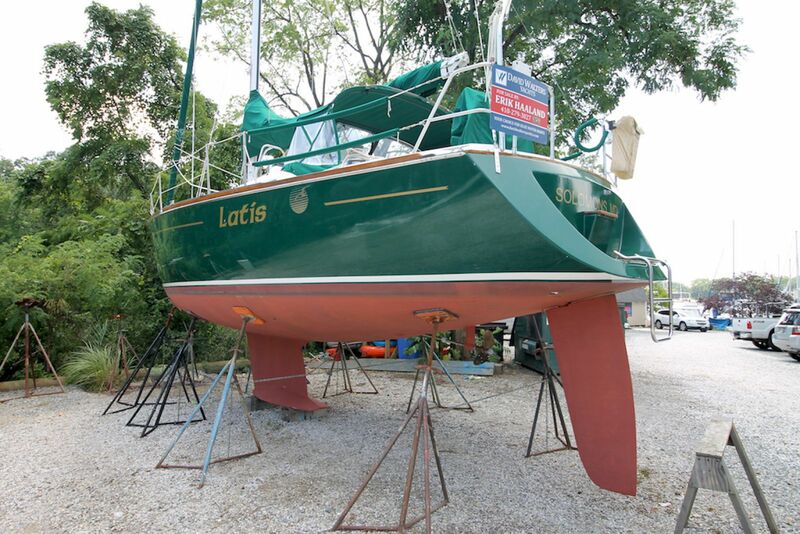 Be sure not to miss Latis as she will not last long. 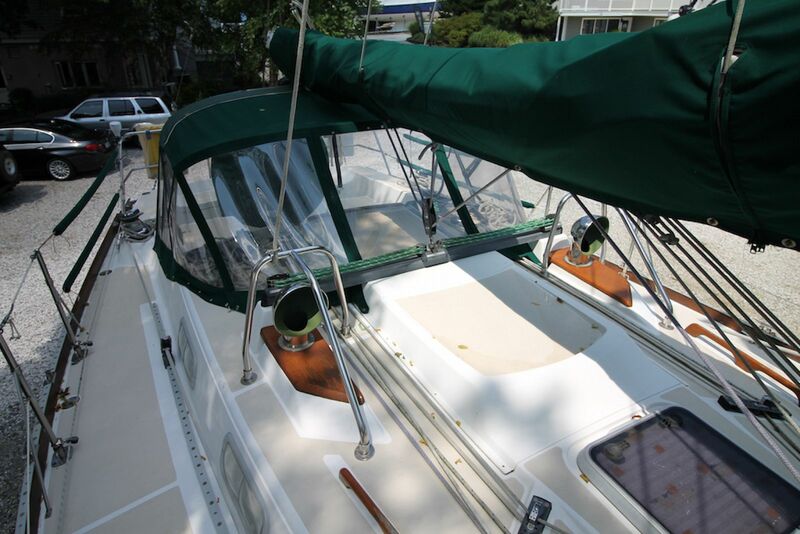 Recent work includes:New Quantum Main and JibNew Tides Marine StrongtrackNew B&G ElectronicsNew Raymarine Autopilot12V Wiring Cleaned up and Replaced As NeededNew UpholsteryNew StereoHead and Holding Tank RefitEngine Injectors, Fuel Pump, Alternator Rebuilt, Freshwater Hoses ReplacedRecent Canvas (Dodger, main cover, pedestal cover, lifeline pads, winch covers. 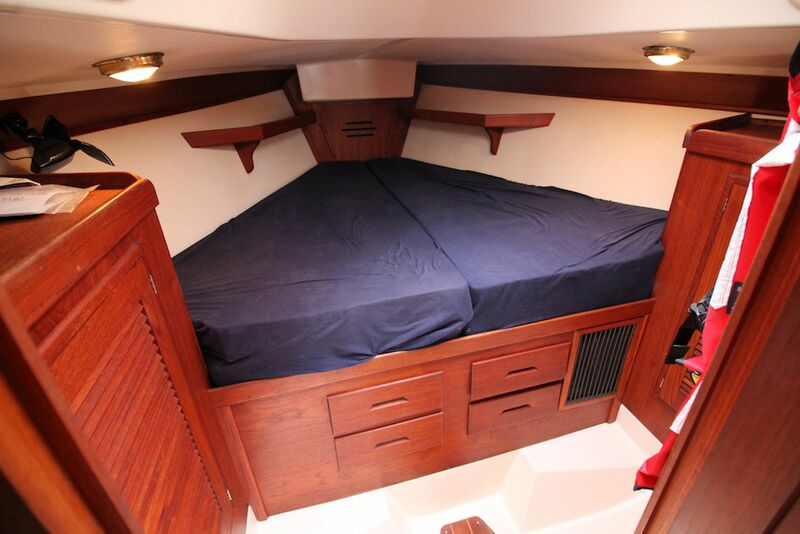 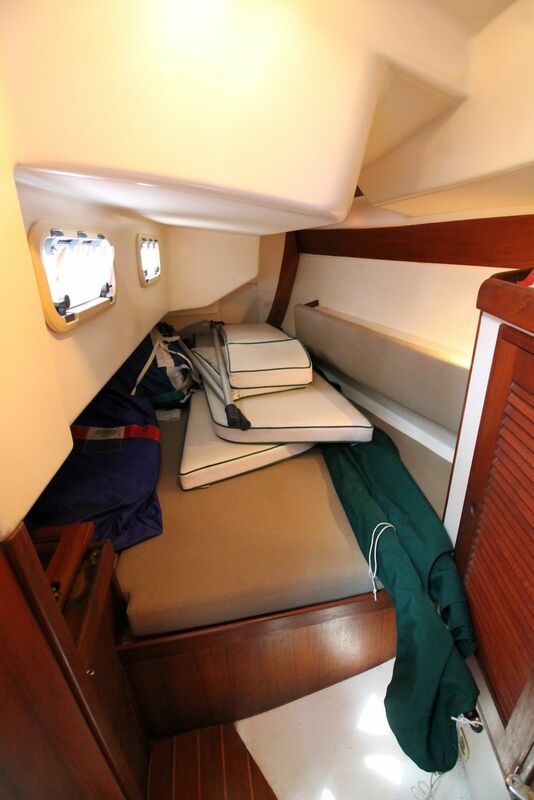 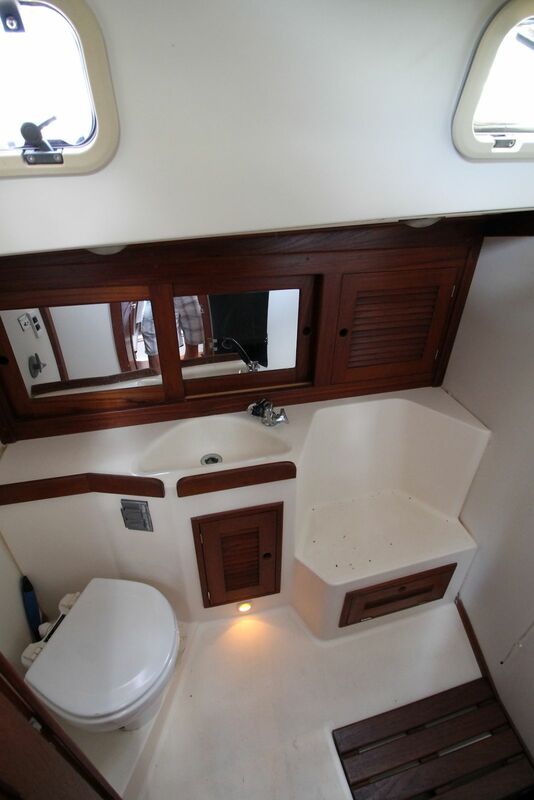 Guest stateroom, aft to port, features a spacious double berth, hanging locker and long shelf outboard. 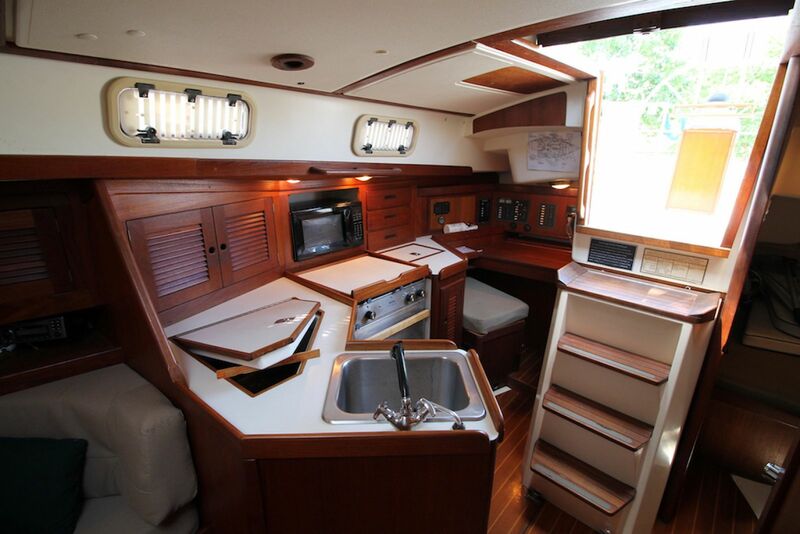 Galley: 2 burner LPG stove -w/oven, microwave, Adler-Barbour cold plate refrigeration ('07); deep SS sink, spacious cabinetry, drawers and counterspace. 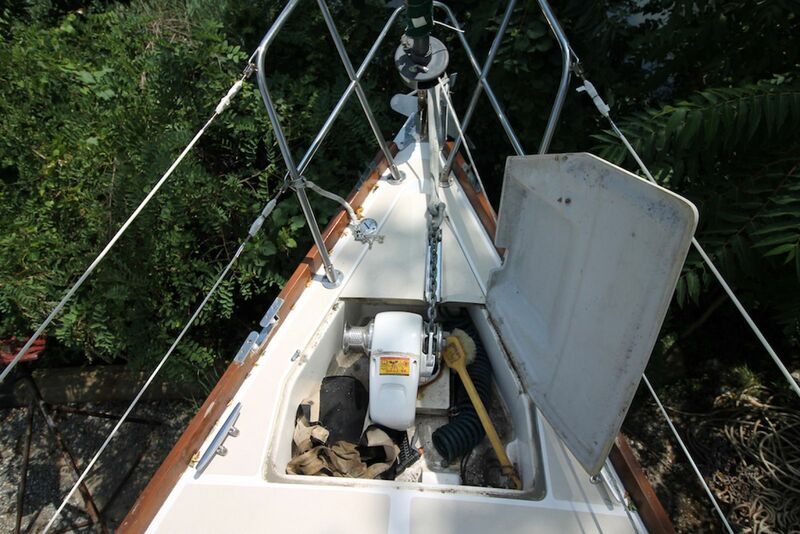 The 12V wiring has been recently cleaned up and organized, replaced where needed. 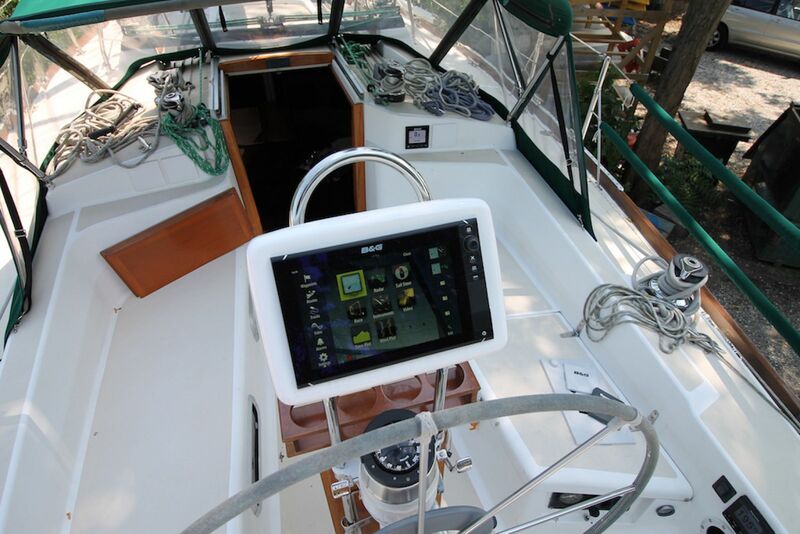 The electrical system on "Latis" is ready for many years to come.